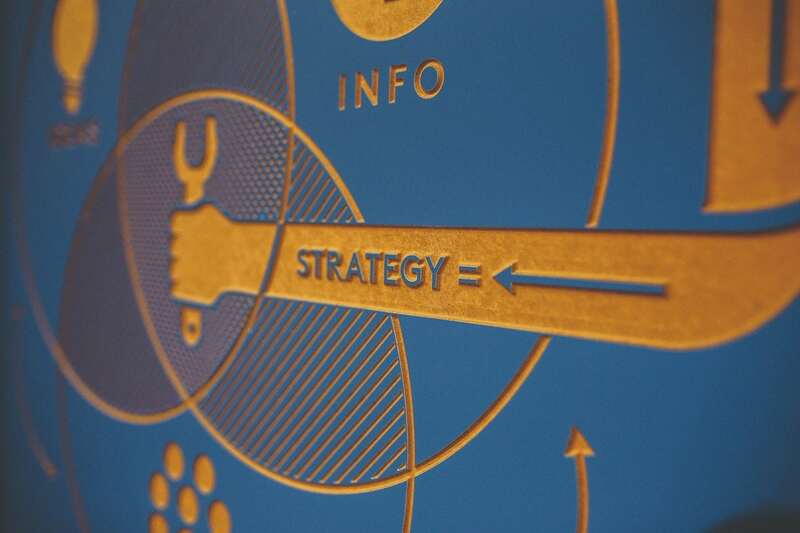 Digital Strategy: What Is It, and Why Does Your Business Need One? Quick Answer: A Digital Strategy involves putting your business on the world wide web, utilizing sub-strategies/tactics (SEO, Social Media Marketing, Email Marketing, etc.) that put your business in front of qualified potential customers, and then guiding them to call, email, schedule, register, etc. This has the power to increase exposure, generate leads or sales, and build or enhance the reputation of your business. By now, most businesses have come to realize that digital marketing is here to say. Sure, about 29% of small businesses still don’t have a website, but most everybody has caught on by now. Of course, having a website isn’t the same thing as actually utilizing the digital space as a way to grow your business, but it’s definitely a start. Having a website, at the very least, shows the minimum level of acceptance that the internet has changed the way businesses interact with the world, probably forever. And since the average American spends a whole 24 hours each week online, a solid digital strategy is more important than ever before. Yeah yeah. People are online a lot. So what? I hear you. I do. Thing is, advertising, marketing, all that stuff used to be different. You only need to take a look at a print ad from the ‘50s to realize it. Advertising used to scream “look at me! I’m the best!” And it would work, too, because it wasn’t all that easy to find out if a business wasn’t actually the best. But the internet came along and changed that. The internet let people from all over America (and the world) talk to each other instantly. So if you wanted to read up on whether or not a business actually was the best, you could. And it was the first time in the history of the whole world that you could really do that. This turned customers from passive information-absorbers into people who could seek out information and decide for themselves what they thought about a certain business. And that’s true to this day. This is why online reputation and generating reviews have become extremely important. And that’s just one component of a complete digital strategy. But your digital presence does have a lot to do with what a customer will learn when he researches you online. By having a website, you get to steer the conversation in the direction you want it to go. And that’s powerful. You can’t plan ahead if you don’t take stock of where you already are. If you are starting from scratch, that’s okay—skip this step. But if you already have some sort of marketing strategy, it’s likely that you have laid a foundation for yourself that you’ll be able to leverage in the future steps, so take note of what you’re trying to accomplish with your current digital marketing initiatives, as well as how those initiatives are performing. Do Your Sales Initiatives and Marketing Strategies Complement One Another? This is the obvious place to start, and it’s also pretty simple. If your primary money maker is selling lawnmowers, but most of your digital marketing focuses on how you offer snow plowing in the winter, there is a disconnect between those two things that will lead to you selling fewer lawnmowers than you’d like. Do You Have a Way to Encourage Sales From Your Target Audience in a Way That Makes Sense for Their Needs and Your Goals? Business relationships must be mutually beneficial, or they won’t exist at all. Because of that, you need to provide something of substance to the people you’re hoping to buy your product/service, or they won’t buy. Strategies of ago, those that simply assert “My company is the best, buy from me!” are no longer sufficient in a world where the power has shifted from the advertiser to the ones viewing the advertisements. So you need to consider things from the perspective of your customer. If you were in their shoes, shopping for a lawnmower, would you be drawn to your company over a competitor? If so (or not), why? Answering those questions will help you understand what it will take for customers to be drawn to your products. Do You Have a System in Place for Measuring and Reporting ROI? Marketing costs money, but it also brings in money. If it didn’t, nobody would bother with it. But many businesses pursue marketing without knowing exactly what they should be doing. This often leads to marketing initiatives with no thoughts toward ROI—which is a fancy way of saying how much money you earned by spending money on marketing. Take newspaper ads for example. If you pay $50 a month for newspaper ads, and you get 3 new customers per month valued at $300 each because of that, your $50 has made you $900, which is an ROI of [amount]. But how do you know that those customers were obtained from the newspaper ad? You could always ask them, but that’s not a foolproof way either. Luckily, digital marketing allows for a comprehensive (and foolproof) measure of ROI, but it has to be implemented properly. If you don’t have one, you should. A good example of this is a simple tracking mechanism utilized within Google Analytics. If you’re doing SEO, the goal is to drive traffic, and ultimately get users to convert. Let’s say you’re paying $1000 a month for SEO, and you want to sell baseball bats. We would take a benchmark, something like: you were receiving 1 conversion (sale) from search traffic valued at $100 before our work. Then down the road after we’ve had a chance to make improvements and grow your presence, our tracking would exhibit growth. Perhaps you’d then be selling 20 bats per month from search traffic, valued at $2000 per month. A $1000 per month return on investment. Often, your website and marketing materials are the only interactions potential customers will have with you before they actually become customers. What your website and marketing materials say to them will provide the benefits that they use to evaluate whether or not they want to do business with you, full stop. To say it’s important would be an understatement. Does Your Website Complement Your Marketing and Sales Initiatives? This one is pretty self-explanatory. You have things/services you want to sell, and marketing materials you use to help sell them. By that logic, you can think of your website as one big marketing material. Your website is more than just a place for people to learn more about you and your company. It’s where people will spend the bulk of their time deciding whether or not they want to start (or continue) doing business with you. And, really, if your website isn’t complementing your marketing and sales initiatives, it’s almost certainly detracting from them. Does Your Website Reflect Your Brand Promise, Services, and Your Services Effectively? First, do you even have a brand promise? A brand promise does two things: it helps your marketing stay consistent with the core values of your company, and it constantly reminds customers what unique thing you offer above any other company in your industry. They’re interested in your services and comparing you to a competitor in the area. See, nobody is forced to go on a website. So if someone is on your website, there’s already a pretty good chance that they have at least some interest in what you have to sell. By ensuring your website can answer any specific question or request a customer has (and these can be things like “I want to know how much this costs” or “I want to be emailed with your availability”), you’re putting yourself in an excellent position to obtain their business. Once you’ve evaluated your current efforts, the next step would go into improving on the areas you’ve identified as improvable. But you’re also running a business, so how much time do you actually have to focus on these things? Remember that bad marketing can actually be worse than no marketing, so be careful. There are all sorts of issues, the most important of which is that marketing is a discipline all its own. You can be great at running a business, but that doesn’t necessarily mean you’re great at marketing for a business. If all this sounds like a lot of work, that’s because it is. The solution: find a digital agency. But, more so, you find a digital agency that will implement digital strategies that complement and enhance your current marketing and sales initiatives. At webFEAT Complete, we have a team of specialists who will not only fine tune the content and design of your website on a monthly basis, but will also strategize digital channel campaigns with you across different services like: SEO, blogging, social media, google ads, and reputation management. We want to be a partner, or extension of your business. With your investment, you can expect us to be fully invested in your company.